Alicia here today with a sunset layout from my recent trip to Jamaica. 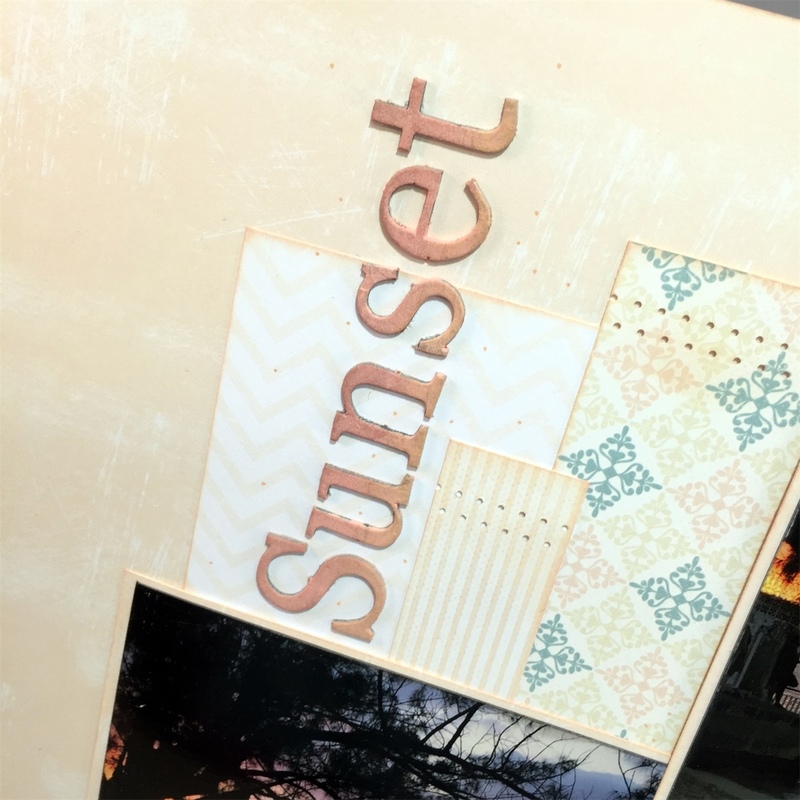 I thought the beautiful peach papers in the new Windsong Paper Pack highlighted the glowing sunset at the beach. I added several different papers and used various border makers and cutting templates to create interesting shapes while still focusing on my photos. I used an hombre technique on the grunge board letters. 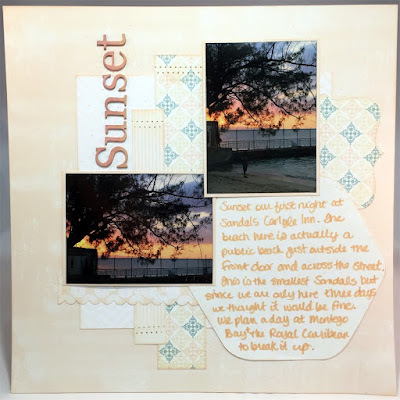 I started with the lightest Desert Sun PowderPuff Chalking Ink, next I chalked with Peach Tree PowderPuff Chalking Ink and finally the darkest Sunset PowderPuff Chalking Ink. The effect is very subtle as are the shades in the Windsong Paper Pack.